Time synchronisation is something easily taken for granted in this day and age. With GPS NTP servers, satellites beam down time to technologies, which keeps them synced to the world’s time standard UTC (Coordinated Universal Time). Before UTC, before atomic clocks, before GPS, keeping time synchronised was not so easy. Throughout history, humans have always kept track of time, but accuracy was never that important. A few minutes or an hour or so difference, made little difference to people’s lives throughout the medieval and regency periods; however, come the industrial revolution and the development of railways, factories and international commerce, accurate timekeeping became crucial. 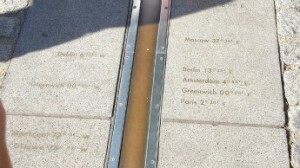 Greenwich Mean Time (GMT) became time standard in 1880, taking over from the world’s first time standard railway time, developed to ensure accuracy with railway timetables. Soon, all businesses, shops and offices wanted to keep their clocks accurate to GMT, but in an age before electrical clocks and telephones, this proved difficult. Enter the Greenwich Time Lady. Ruth Belville was a businesswoman from Greenwich, who followed in her father’s footsteps in delivering time to businesses throughout London. The Belville’s owned a highly accurate and expensive pocket watch, a John Arnold chronometer originally made for the Duke of Sussex. Every week, Ruth, and her father before her, would take the train to Greenwich where they would synchronise the pocket watch to Greenwich Mean Time. The Belvilles would then travel around London, charging businesses to adjust their clocks their chronometer, a business enterprise that lasted from 1836 to 1940 when Ruth finally retired at the age of 86. BY this time, electronic clocks had began to take over traditional mechanical devices and were more accurate, needing less synchronisation, and with the telephone speaking clock introduced by the General Post Office (GPO) in 1936, timekeeping services like the Belville’s became obsolete. Today, time synchronisation is far more accurate. Network time servers, often using the computer protocol NTP (Network Time Protocol), keep computer networks and modern technologies true. 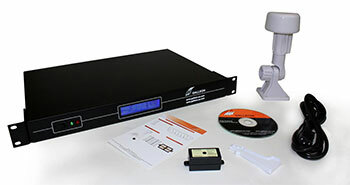 NTP time servers receive an accurate atomic clock time signal, often by GPS, and distribute the time around the network. Thanks to atomic clocks, NTP time servers and the universal timescale UTC, modern computers can keep time to within a few milliseconds of each other. International Telecommunications Union (ITU), based in Geneva, is voting in January to finally get rid of the leap second, effectively scrapping Greenwich Meantime. UTC (Coordinated Universal Time) has been around since the 1970’s, and already effectively governs the world’s technologies by keeping computer networks synchronised by way of NTP time servers (Network Time Protocol), but it does have one flaw: UTC is too accurate, that is to say, UTC is governed by atomic clocks, not by the rotation of the Earth. While atomic clocks relay an accurate, unchanging form of chronology, the Earth’s rotation varies slightly from day-to-day, and in essence is slowing down by a second or two a year. To prevent noon, when the sun is highest in the sky, from slowly getting later and later, Leap Seconds are added to UTC as a chronological fudge, ensuring that UTC matches GMT (governed by when the sun is directly above by the Greenwich Meridian Line, making it 12 noon). The use of leap seconds is a subject of continuous debate. The ITU argue that with the development of satellite navigation systems, the internet, mobile phones and computer networks all reliant on a single, accurate form of time, a system of timekeeping needs to be precise as possible, and that leap seconds causes problems for modern technologies. This against changing the Leap Second and in effect retaining GMT, suggest that without it, day would slowly creep into night, albeit in many thousands of years; however, the ITU suggest that large-scale changes could be made, perhaps every century or so. If leap seconds are abandoned, it will effectively end Greenwich Meantime’s guardianship of the world’s time that has lasted over a century. Its function of signalling noon when the sun is above the meridian line started 127 years ago, when railways and telegraphs made a requirement for a standardised timescale. If leap seconds are abolished, few of us will notice much difference, but it may make life easier for computer networks that synchronised by NTP time servers as Leap Second delivery can cause minor errors in very complicated systems. Google, for instance, recently revealed it had written a program to specifically deal with leap seconds in its data centres, effectively smearing the leap second throughout a day. Leap Seconds have been in use since the development of atomic clocks and the introduction of the global timescale UTC (Coordinated Universal Time). Leap Seconds prevent the actual time as told by atomic clocks and the physical time, governed by the sun being highest at noon, from drifting apart. Since UTC began in the 1970’s when UTC was introduced, 24 Leap Seconds have been added. Leap seconds are a point of controversy, but without them, the day would slowly drift into night (albeit after many centuries); however, they do cause problems for some technologies. NTP servers (Network Time Protocol) implement Leap Seconds by repeating the final second of the day when a Leap Second is introduced. While Leap Second introduction is a rare event, occurring only once or twice a year, for some complex systems that process thousands of events a second this repetition causes problems. For search engine giants, Google, Leap Seconds can lead to their systems from working during this second, such as in 2005 when some of its clustered systems stopped accepting work. While this didn’t lead to their site from going down, Google wanted to address the problem to prevent any future problems caused by this chronological fudge. Its solution was to write a program that essentially lied to their computer servers during the day of a Leap Second, making the systems believe the time was slightly ahead of what the NTP servers were telling it. This gradual speeding up time meant that at the end of a day, when a Leap Second is added, Google’s timeservers do not have to repeat the extra second as the time on its servers would already be a second behind by that point. Whilst Google’s solution to the Leap Second is ingenious, for most computer systems Leap Seconds cause no problems at all. With a computer network synchronised with an NTP server, Leap Seconds are adjusted automatically at the end of a day and occur only rarely, so most computer systems never notice this small hiccup in time. Most people will have heard of atomic clocks, most people, probably without realising have even used them; however, I doubt many people reading this will have ever seen one. Atomic clocks are highly technical and complicated pieces of machinery. Relying on vacuums, super-coolants such as liquid nitrogen and even lasers, most atomic clocks are only found in laboratories such as NIST (National Institute for Standards and Time) in the US, or NPL (National Physical Laboratory) in the UK. No other form of timekeeping is as accurate as an atomic clock. Atomic clocks form the basis of world’s global timescale UTC (Coordinated Universal Time). Even the length Earth’s spin requires manipulation by the addition of leap seconds to UTC to keep the day synchronised. Atomic clocks work by using the oscillating changes of atoms during different energy states. Caesium is the preferred atom used in atomic clocks, which oscillates 9,192,631,770 times a second. This is a constant effect too, so much so that a second is now defined by this many oscillations of the caesium atom. Louis Essen built the first accurate atomic clock in 1955 at the National Physical Laboratory in the UK, since then atomic clocks have become increasingly more accurate with modern atomic clocks able to maintain time for over a million years without ever losing a second. In 1961, UTC became the world’s global timescale, and by 1967, the International System of Units adopted the Caesium frequency as the official second. Since then, atomic clocks have become part of modern technology. Onboard every GPS satellite, atomic clocks beam time signals to Earth, enabling satellite navigation systems in car, boats and aeroplanes to judge their locations precisely. 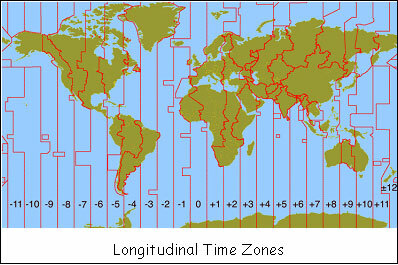 UTC time is also essential for trade in the modern world. With computer networks speaking to each other across timezones, using atomic clocks as a reference prevents errors, ensures security and provides reliable data transfer. Receiving a signal from an atomic clock for computer time synchronisation is incredibly easy. NTP time servers that receive the time signal from GPS satellites, or those broadcast on radio waves from places NPL and NIST, enable computer networks across the globe to keep secure and accurate time. Researchers have discovered that the British atomic clock controlled by the UK’s National Physical Laboratory (NPL) is the most accurate in the world. NPL’s CsF2 caesium fountain atomic clock is so accurate that it wouldn’t drift by a second in 138 million years, nearly twice as accurate as first thought. Researchers have now discovered the clock is accurate to one part in 4,300,000,000,000,000 making it the most accurate atomic clock in the world. The CsF2 clock uses the energy state of caesium atoms to keep time. With a frequency of 9,192,631,770 peaks and troughs every second, this resonance now governs the international standard for an official second. The international standard of time—UTC—is governed by six atomic clocks, including the CsF2, two clocks in France, one in Germany and one in the USA, so this unexpected increase in accuracy means the global timescale is even more reliable than first thought. UTC is essential for modern technologies, especially with so much global communication and trade being conducted across the internet, across borders, and across timezones. UTC enables separate computer networks in different parts of the world to keep exactly the same time, and because of its importance accuracy and precision is essential, especially when you consider the types of transactions now conducted online, such as the buying of stocks and shares and global banking. NTP keeps all computers accurate to UTC by continuously checking each system clock and adjusting for any drift compared to the UTC time signal. By using an NTP time server, a network of computers is able to remain within a few milliseconds of UTC preventing any errors, ensuring security and providing an attestable source of accurate time. Most of us recognise how long an hour, a minute, or a second is, and we are used to seeing our clocks tick past these increments, but have you ever thought what governs clocks, watches and the time on our computers to ensure that a second is a second and an hour an hour? Early clocks had a very visible form of clock precision, the pendulum. Galileo Galilei was the first to discover the effects of weight suspended from a pivot. On observing a swinging chandelier, Galileo realised that a pendulum oscillated continuously above its equilibrium and didn’t falter in the time between swings (although the effect weakens, with the pendulum swinging less far, and eventually stops) and that a pendulum could provide a method of keeping time. Early mechanical clocks that had pendulums fitted proved highly accurate compared to other methods tried, with a second able to be calibrated by the length of a pendulum. Of course, minute inaccuracies in measurement and effects of temperature and humidity meant that pendulums were not wholly precise and pendulum clocks would drift by as much as half an hour a day. The next big step in keeping track of time was the electronic clock. These devices used a crystal, commonly quartz, which when introduced to electricity, will resonate. This resonance is highly precise which made electric clocks far more accurate than their mechanical predecessors were. True accuracy, however, wasn’t reached until the development of the atomic clock. Rather than using a mechanical form, as with a pendulum, or an electrical resonance as with quartz, atomic clocks use the resonance of atoms themselves, a resonance that doesn’t change, alter, slow or become affected by the environment. In fact, the International System of Units that define world measurements, now define a second as the 9,192,631,770 oscillations of a caesium atom. Because of the accuracy and precision of atomic clocks, they provide the source of time for many technologies, including computer networks. 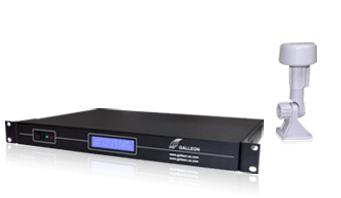 While atomic clocks only exist in laboratories and satellites, using devices like Galleon’s NTS 6001 NTP time server. A time server such as the NTS 6001 receives a source of atomic clock time from either GPS satellites (which use them to provide our sat navs with a way to calculate position) or from radio signals broadcast by physics laboratories such as NIST (National Institute of Standards and Time) or NPL (National Physical Laboratory). Accurate time is one of the most important aspects to keeping a computer network secure and safe. Places such as stock exchanges, banks and air traffic control rely on secure and accurate time. As computers rely on time as their only reference for when events happen, a slight error in a time code could lead to all sorts of errors, from millions being wiped off share prices to aeroplane flight paths being incorrect. And time doesn’t just need to be accurate for these organizations, but secure too. A malicious user who interferes with a timestamp could cause all sorts of trouble, so ensuring time sources are both secure and accurate is vital. Security is increasingly important for all sorts of organisations. With so much trade and communication conducted over the internet, using a source of accurate and secure time is as important a part of network security as anti-virus and firewall protection. Despite the need for accuracy and security, many computer networks still rely on online time servers. Internet sources of time are not only unreliable, with inaccuracies commonplace, and distance and latency affecting the precision, but an Internet time server is also unsecure and able to be hijacked by malicious users. But an accurate, reliable and completely secure source of time is available everywhere, 365 days a year—GPS. While commonly thought of as a means of navigation, GPS actually provides an atomic clock time code, direct from the satellite signals. It is this time code that navigation systems use for calculating position but it is just as effective to provide a secure time stamp for a computer network. Organizations that rely on accurate time for safety and security all use GPS, as it is a continuous signal, that never goes down, is always accurate and can’t be interfered with by third parties. To utilise GPS as a source of time, all that is required is a GPS time server. Using an antenna, the time server receives the GPS signal, while NTP (Network Time Protocol) distributes it around the network. With a GPS time server, a computer network is able to maintain accuracy to within a few milliseconds of the atomic clock time signal, which is translated into UTC time (Coordinated Universal Time) thanks to NTP, ensuring the network is running the same accurate time as other networks also synchronised to a UTC time source.